﻿Calling themselves “New Romantics,” the wave of musicians that followed punk in the early ’80’s, seemed to subscribe to the same DIY ethos as their sneering, safety-pinned, three-chord-playing predecessors—except with synthesizers, rhythm machines, and exaggerated versions of upscale, tailored fashion and grooming. 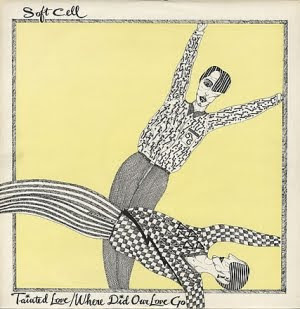 The music was moody, but catchy and often quite danceable with a near-disco beat. And by the time I got to England in the fall of 1980, it was sweeping the country along with the equally exciting post-punk movement.